We at Aspirinox Alloys Inc are a well-known Manufacturer, Supplier & Exporter of high-quality Monel K500 Flanges in Mumbai, India. These Monel Flanges are manufactured by national & international standards. These Flanges are widely used in various application industries such as petroleum, chemical, construction, engineering, gas and shipbuilding industries and many more. We offer a comprehensive range of all types Alloy K500 Flanges grades including Slip on flanges, socket weld flanges, blind flanges, lap joint flanges, screwed flanges, weld neck flanges, reducing flanges, spectacle flanges, slip on flanges, plate flanges, screwed flanges etc. In the meantime, it’s formed materials that offer enhanced complete corrosion resistance than most other parallel products. 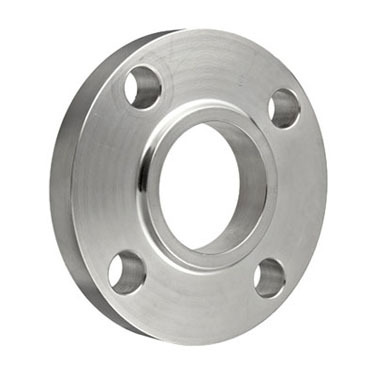 Our UNS N05500 Flanges provides resistance to stress-corrosion cracking, crevice corrosion, and pitting. These are accessible to our valuable customers in a different range of diameters, wall thicknesses, and sizes at quite affordable rates. Contact us today to request a free quote! Specifications for Monel K500 Flanges. If any specification is not mentioned here, please use the contact button for quick quote. Standards ANSI/ASME B16.5, B 16.47 Series A & B, B16.48, BS4504, BS 10, EN-1092, DIN, etc. Contact us or click on request a quote button to get our competitive prices for Monel K500 Flanges. Aspirinox Alloys INC maintain the large inventory of high quality Monel K500 Flanges for sale to our clients throughout globally. Chemicals, Petrochemicals, Oil & Natural Gas Organization, Fats, Fertilizers, Sugar Mills & Distilleries, Cement Industries, Ship Builders, Paper Industries, Pumps, Automation, Paints, Steel Industries, etc. Contact us to get a quick quote for your requirement. Manufacturer, Distributor & Supplier of Stainless Steel, Alloy Steel, Carbon Steel, Duplex & Super Duplex, Inconel, Monel, Hastelloy, Titanium & Other Exotic & Special Alloys.